The FIWARE Foundation was founded as a legal non-profit association in October 2016. The purpose of the FIWARE Foundation is to serve the FIWARE Community which comprises all individuals and organizations committed to materialise the FIWARE mission, that is: “to build an open sustainable ecosystem around public, royalty-free and implementation-driven software platform standards that will ease the development of new Smart Applications in multiple sectors”. These platform standards are materialized in the FIWARE Open Source Platform. The FIWARE Community is not only formed by contributors to the FIWARE platform but also those who contribute in building the FIWARE ecosystem and making it sustainable over time. Members of the FIWARE Community can become members of the FIWARE Foundation, enyoing certain rights and assuming certain responsibilities. Join now as member of the FIWARE Foundation and help shape the future of FIWARE! Apply to the Secretary and provide the information required by the BoD; and Sign the Membership Agreement (to be sent in response to your application). Signature of the Membership Agreement implies that the Organisation or Individual applying for membership complies with the obligations of FIWARE Foundation Members as defined in the Bylaws, the Association Code, the Fee Code, and the Code of Conduct. Following is an overview of the different FIWARE Foundation membership categories. More info can be found in the FIWARE Foundation Bylaws. A table summarizing the fees, expected in-kind contributions and the rights for each membership category can be found in the FIWARE Foundation Fee Code. 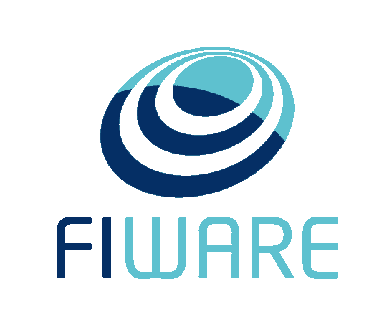 Individuals who are actively contributing to the FIWARE Mission, therefore recognized as Active Contributors of the FIWARE Community can become Individual Members of the FIWARE Foundation for free. Active contributors to FIWARE Platform activities (contributing source code, evangelizing, providing relevant technical support through channels defined in the Community or contributing to Quality Assurance activities) or the operation of FIWARE Lab nodes can join as Individual Members to the FIWARE Foundation. This way, they will have the right to vote and candidate for seats of the FIWARE Technical Steering Committee, which drives the technical direction of FIWARE. Active contributors to the rest of activities needed for building the FIWARE ecosystem (e.g., participation in the FIWARE Accelerator, FIWARE Mundus or FIWARE iHubs programmes or participation in marketing activities) can join as Individual Members to the FIWARE Foundation. This way, they will have the right to join and vote in the several Mission Support Committees that may be created as well as propose the creation of new Mission Support Committees. All Individual Members of the FIWARE Foundation will also have the right to vote in General Assembly meetings involving all members of the FIWARE Foundation. Platinum Members are those organizations who, strategically committing to FIWARE, hold a key responsibility in managing the FIWARE Foundation. They may decide on simple majority whether or not another legally established organization could join the FIWARE Foundation as a Platinum Member. Any legally established organization, except non-profit organisations, may apply for becoming Platinum Member. Platinum Members make an annual contribution of 100 K€ and 2 FTEs to FIWARE Foundation activities. An initial commitment of 2 years is required. They will have the right to designate a representative in the FIWARE Board of Directors and in the FIWARE Technical Steering Committee. They will also have the right to join and vote in the several Mission Support Committees that may be created as well as propose the creation of new Mission Support Committees. All Platinum Members of the FIWARE Foundation will also have the right to vote in General Assembly meetings involving all members of the FIWARE Foundation. This level of membership is dedicated to those organisations who are actually users of ICT, but not ICT organisations as such. Platinum Strategic End User Members make an annual contribution of 100 K€ and 1 FTE to FIWARE Foundation activities. An initial commitment of 2 years is required. All Platinum Strategic End User Members of the FIWARE Foundation will also have the right to vote in General Assembly meetings involving all members of the FIWARE Foundation. Gold Members are those organizations who are committed to FIWARE, having an active role in pursuing the FIWARE Mission. Access to Global Member membership is subject to approval from the FIWARE Board of Directors. As with Platinum Members, any legally established organization, except non-profit organisations, may apply for becoming Gold Member. Gold Members make an annual contribution equal to .025% of their revenue with a minimum contribution of 2,5 K€/year and a maximum of 50 K€/year. An initial commitment of 2 years is required. They will have the right to candidate and vote representatives of all Gold Members in the FIWARE Board of Directors, which can be up to the number of representatives designated by Platinum Members. They will also have the right to join and vote in the several Mission Support Committees that may be created as well as propose the creation of new Mission Support Committees. All Gold Members of the FIWARE Foundation will also have the right to vote in General Assembly meetings involving all members of the FIWARE Foundation. Gold Members make an annual contribution equal to .0125% of their revenue with a minimum contribution of 1,25 K€/year and a maximum of 25 K€/year. An initial commitment of 2 years is required. As alternative to payment of the Gold Strategic End User Membership Fee, Public Administrations who have contributed in-kind (e.g., hosting a FIWARE Summit event, sponsoring capacity linked to a FIWARE Lab node, etc), and have adopted or have publicly announced their plans for adopting FIWARE, are eligible as Gold Strategic End Users Members. All Gold Strategic End User Members of the FIWARE Foundation will also have the right to vote in General Assembly meetings involving all members of the FIWARE Foundation. Associated Members are non-profit legal entities (including universities and similar organizations) that do not fall under any of the categories above and have an interest in the purpose of the FIWARE Foundation. Access to Associated Member membership is subject to approval from the FIWARE Board of Directors. Associated Members make an annual contribution equal to 1 K€/year. An initial commitment of 2 years is required. They will have the right to join and vote in the several Mission Support Committees that may be created as well as propose the creation of new Mission Support Committees. All Associated Members of the FIWARE Foundation will also have the right to vote in General Assembly meetings involving all members of the FIWARE Foundation.